Scans of the relevant pages were provided to me by a collector of such magazines (thank you!). 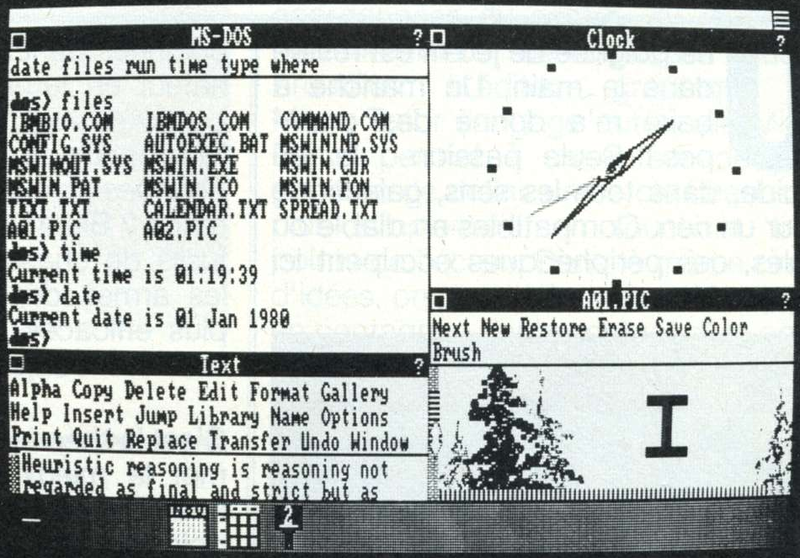 The first photo shows us an empty desktop with a few minimized applications (left to right: MS-DOS window, two instances of Art, Calendar, Spread Sheet, Text and Clock). 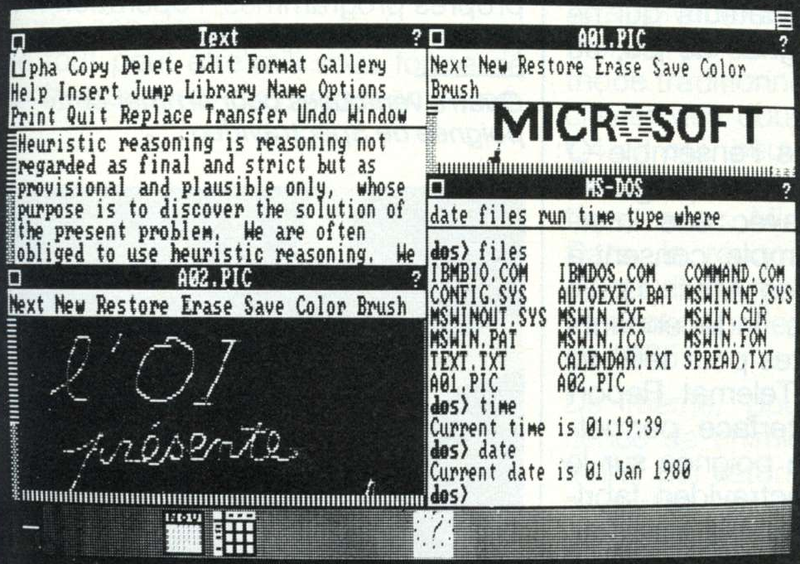 The status bar at the top says "Microsoft Windows Version 1.00 (11/20/83)". This could suggest this string is displayed upon starting the system and either goes away on its own after some time, or it disappears once something else is displayed there (e.g. window resizing tips or system time and date). In the second photo, an instance of Art (showing A01.PIC), Spread Sheet and Calendar have been restored. We can see question marks in the help buttons sit lower, in line with the minimize button. Text in Calendar is not touching the left or top border. 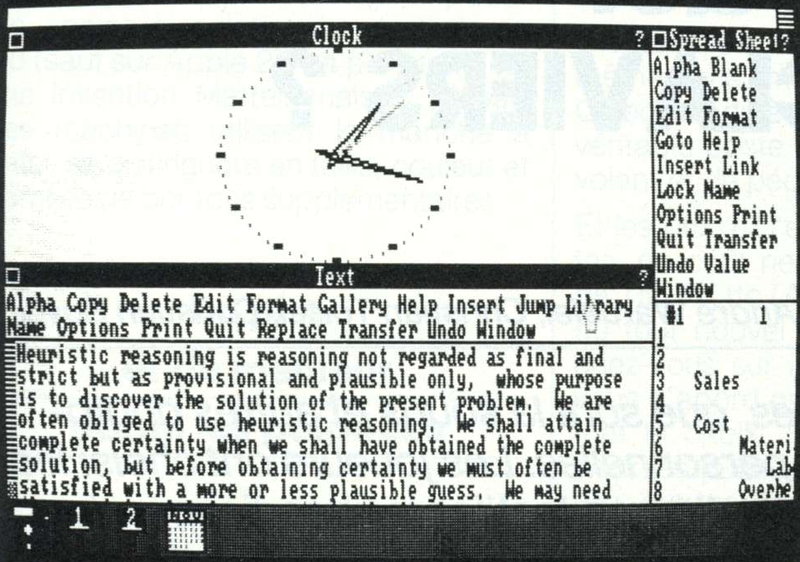 In the third photo, Art and Calendar have been minimized again, Clock and Text have been restored instead, the latter displaying the familiar demo text. 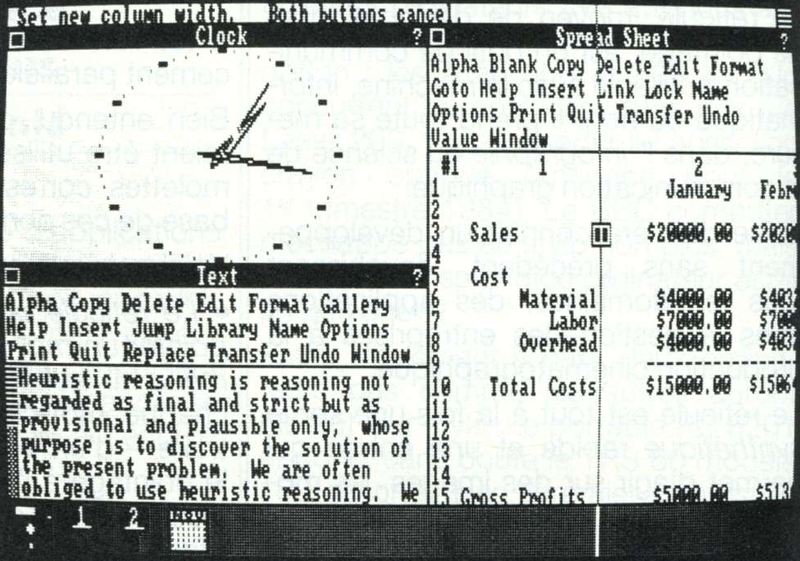 The left window column is being resized in the fourth photo, which displays "Set new column width. Both buttons cancel" in the status bar. The result of this action can be seen in the fifth photo. The contents of this disk look rather similar to the one seen in the February 1984 issue of the Golden magazine, which I also went over in one of my previous posts. 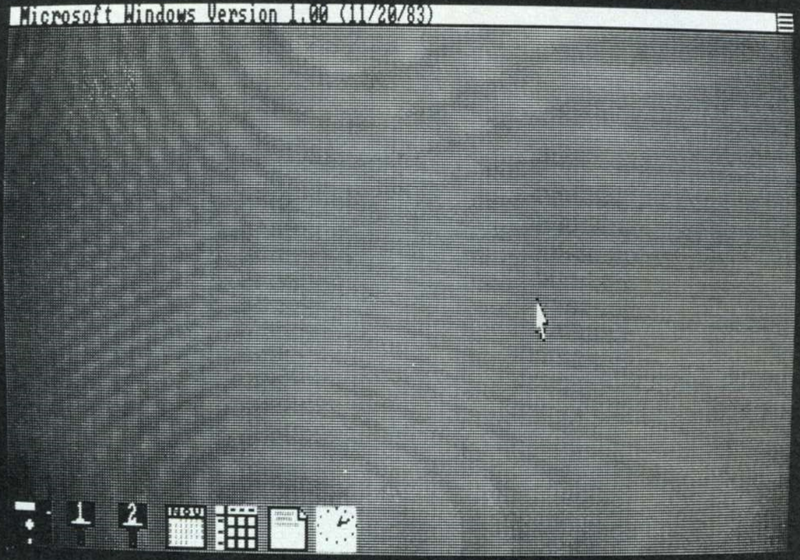 This disk lacks the "WINDOWS" file/folder and A03.PIC demo image, but on the other hand, it has an AUTOEXEC.BAT and the SPREAD.TXT demo text file. It's thus possible these two builds are related or perhaps even identical, just modified for different demo situations. 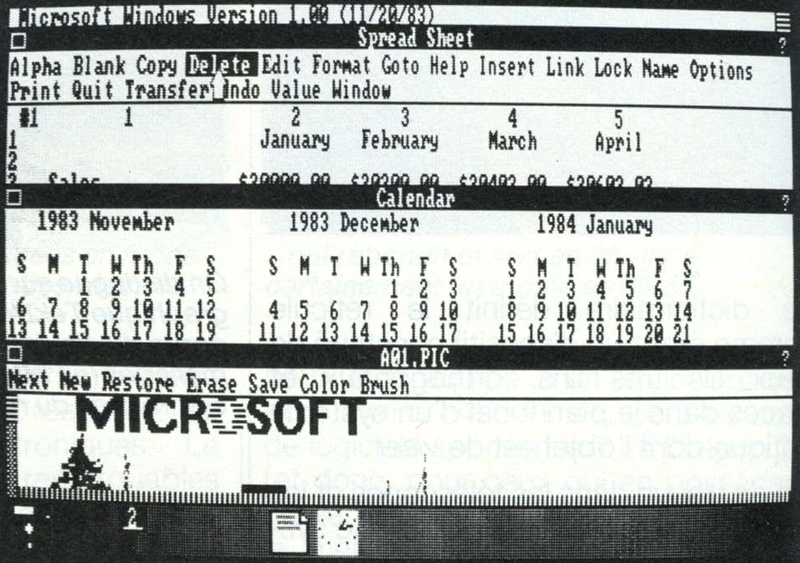 Unfortunately, the system date was not set when this demo was held, instead defaulting to the usual 1st January 1980. 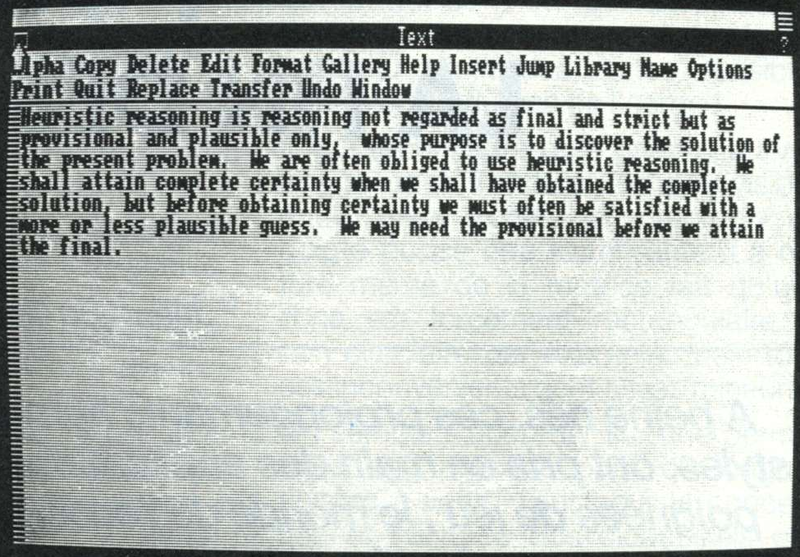 In the eighth photo, A01.PIC was scrolled down a bit, and we can see what the scroll up and down cursor looked like. 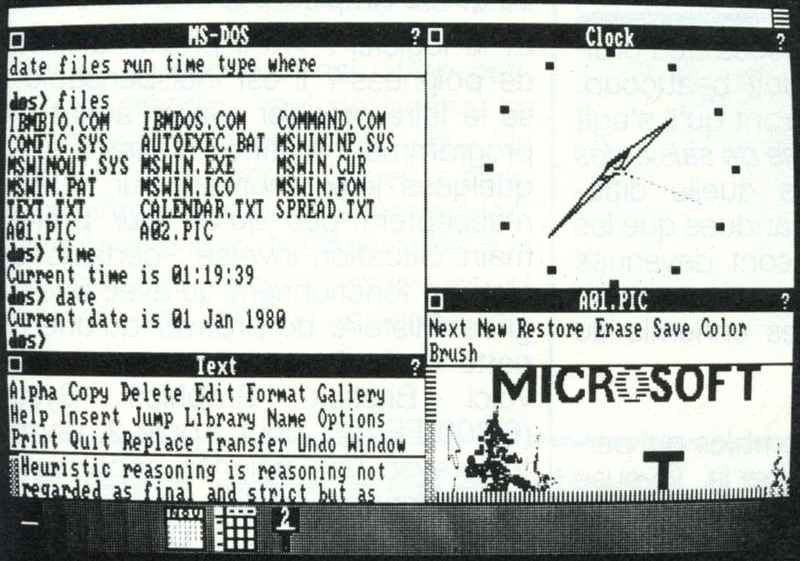 In the ninth photo, windows were rearranged a bit, Clock was minimized and the second instance of Art, showing a newer before seen variant of A02.PIC, restored. 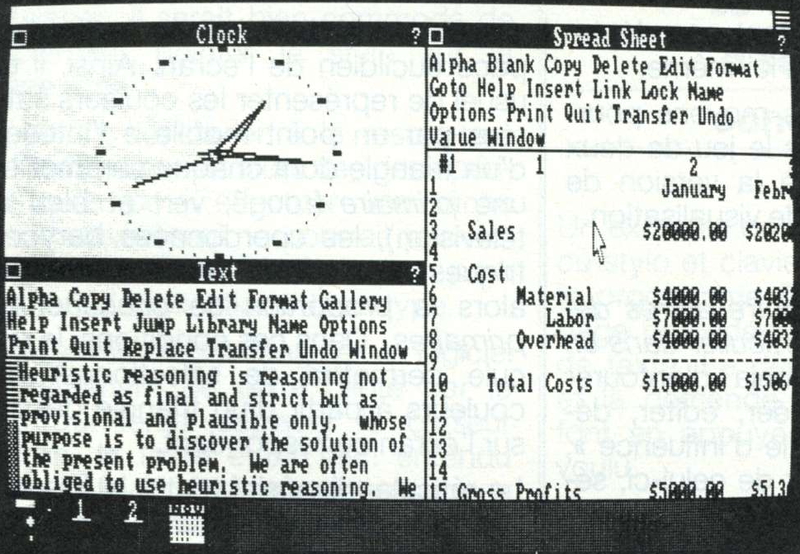 The last photo is a close-up of the system menu. 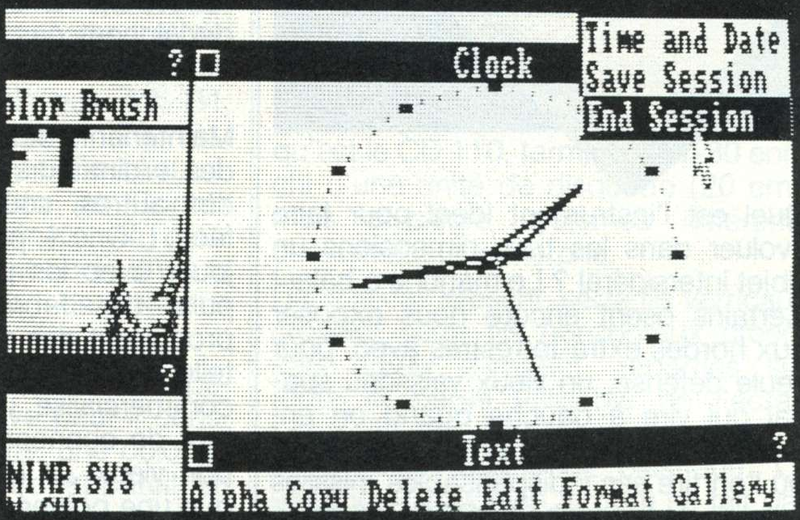 The photo above are of superb quality and confirm that the photo supposedly published in an issue of Monthly ASCII magazine, which features the same version string at the top, is also real (see my previous post about it). Too bad we don't get to know when this demo was held, though. There's still some of these early photos to look at, I'll see which ones I'll pick for the next part of this series.